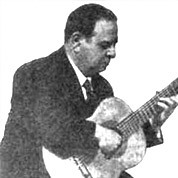 Julio Salvador Sagreras was an Argentine guitarist and composer. His parents were guitarists, who taught him the guitar very early. He progressed quickly and became professor of guitar in Académia de Bellas Artes. In 1905 he opened his own school, Academia de Guitarra. Latin. 2/4 Time Signature. Key of E. 61 measures. 5 pages.